The Jeanneau Sun 2500 is an excellent coastal cruiser, ideal for family sailing with great performance, and a lot of fun, combining ease of use and low maintenance. She is in lovely order as seen in our photos and very well looked after. The lift keel does not intrude into the cabin, being a GRP centerboard operating within an external iron keel stub. The centerboard is hinged on a stainless steel pivot with nylon bushes. It operates by S/S wire and rope tail, running up the king post through the deck to the starboard coach roof winch. 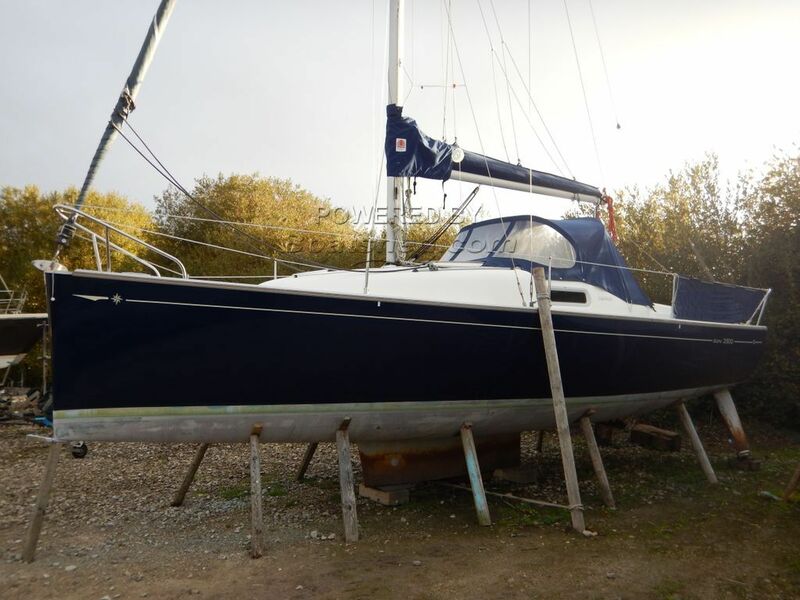 This Jeanneau Sun 2500 Lifting Keel has been personally photographed and viewed by Will West of Boatshed Poole. Click here for contact details.